At DSST, we believe that students thrive best in small-school environments, so that each and every student is known and supported. 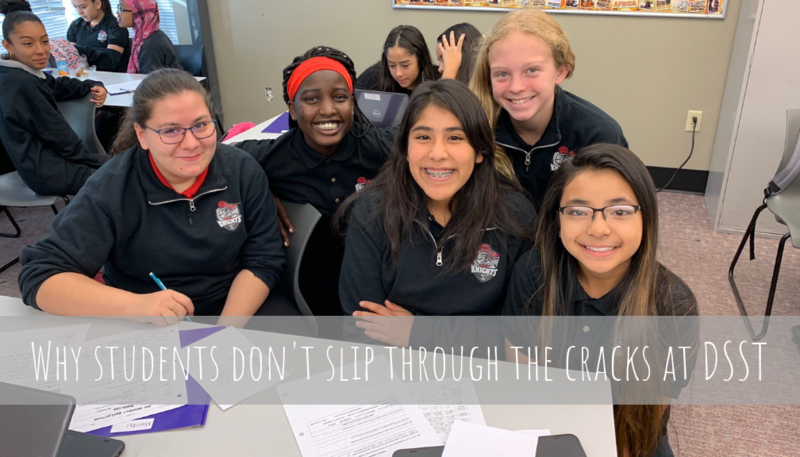 Beyond just having smaller grades, we have a number of programs in place to make sure that students “don’t slip through the cracks.” One of those programs is Advisory. 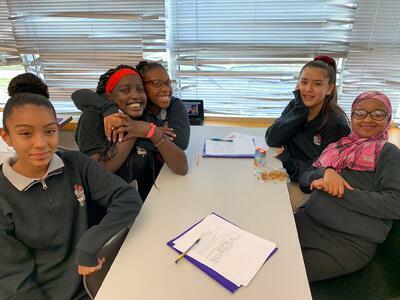 “In advisory we try and get to know each other more, so we have a lot of team building things. And, we check in on our grades so we learn what we’re behind on or ahead of so that we can better understand where we are. It’s a place to reflect on stuff,” says one of Ms. Pehrson’s 8th grade advisees. Advisories also provide each student with more localized support to ensure that they don’t slip between the cracks - it is the job of each advisor to ensure that they have a sense for what’s going on with each of their students and to help them when they may be in need. They can also act as a resource for families- someone who they can contact about their child’s time at school and who truly knows the ins and outs of each student. And both girls we interviewed agreed - they both talked a lot about how great it is to have time each day to spend with their friends and just hang out. 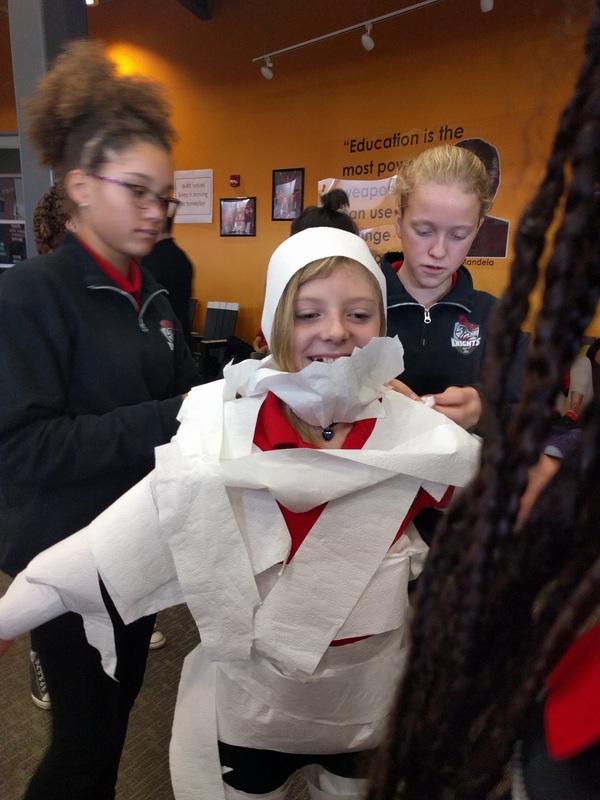 From “mummy” competitions between advisories, to small group community circles and team-building Thursdays, there’s a little bit of everything in advisory. And, while advisory may look a bit different across classrooms and campuses, it gives each student the community and the support to truly feel heard and valued, and gives families peace knowing their child is a part of a dynamic and inclusive school environment. 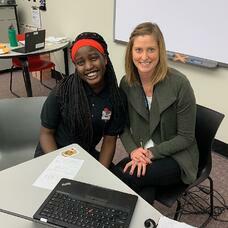 Want to learn more about the advisory system at DSST and what it’s like to be a middle schooler? Sign up for an Open House or Family Tour at one of our campuses to see the magic happen!